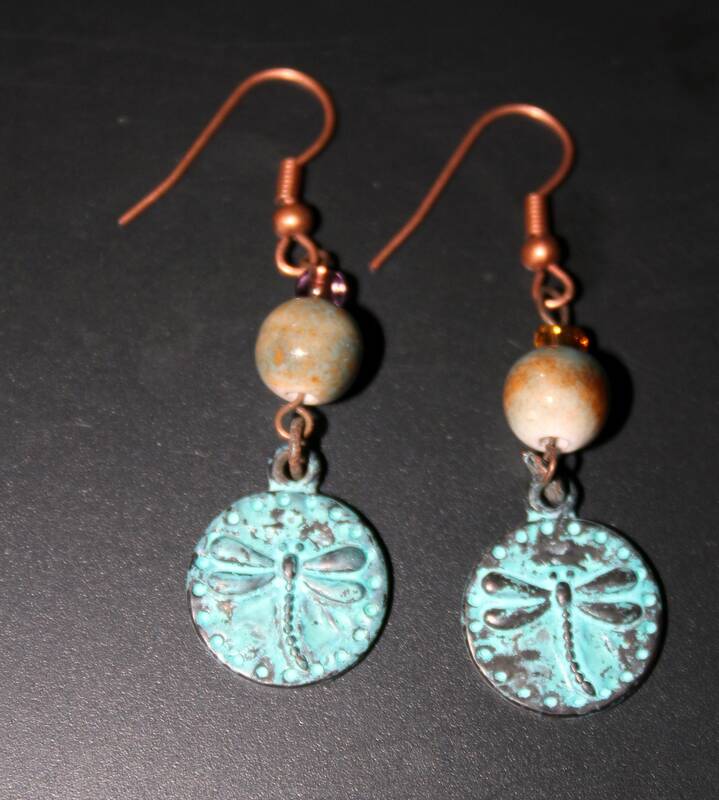 These earrings are made with round verdigris copper dragonfly pendants that have a turquoise patina. 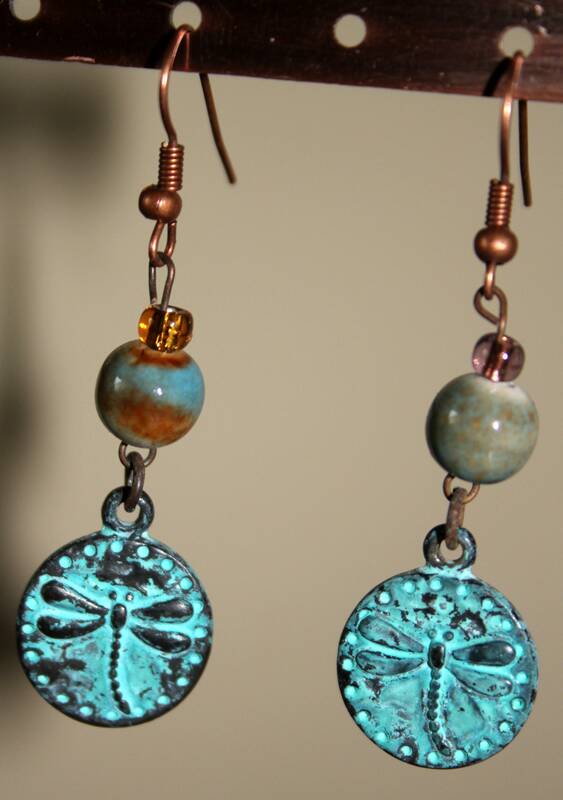 They have two earth toned porcelain beads topped with clear gold Czech Glass beads and copper colored niobium French ear wires. They are 2 " long and the charms are 1/2" wide. They are light and richly colored. They would look great with a t-shirt or more formal apparel.